Central Steam Cleaning are professional upholstery cleaners who are passionate about investing in the latest upholstering cleaning technology. That’s why we made the 600 mile round trip to the Cleansmart carpet and upholstery training centre in Nottingham. We went there to view a new upholstery tool which cuts drying times by an amazing 50%! After seeing it in action, we decided to invest in this groundbreaking upholstery tool to cut our drying times as well as improve our customer satisfaction. If you want your upholstery and mattresses cleaned by professional upholstery cleaners who only use the best technology, get in touch with us today. Our couches and chairs can get dirty and grimy very quickly. Think about it. We take our shoes off at the door to protect our carpets from grime however it’s not so easy to protect our sofas and chairs. We come in from a hard day at work and slump on the couch for a well earned rest. All the dirt that we’ve accumulated on our clothes all day, from sitting on public transport, office chairs, works vans, public toilet seats (yuck) and not to mention the pet dog or cat has now been transferred straight onto your couch. Unlike our clothes, we can’t simply pop it into the washing machine to clean. But clean we must! Upholstery fabrics trap lots of filth (most of which is unseen). This can be a serious issue as a dirty couch is a magnet for dust mites and other irritants. This can cause serious allergic reactions especially in young children. Having your couches and chairs steam cleaned regularly will reduce the risk of these serious allergic reactions occurring. This is where our professional steam cleaners come in. If you are looking for professional upholstery cleaners in Stirling, look no further. We specialise in car upholstery cleaning as well as mattresses, sofas and chairs. Contact us today to arrange a free consultation. 5. 10 mins dwell time for chemical to break down dirt and other pollutants eg. pet, human dead skin, oils etc. 6. Extract chemical from fabric using our Optima or Airflex steam / hot water extraction machine and Sapphire upholstery tool killing all dust-mites and other organisms in the fabric. 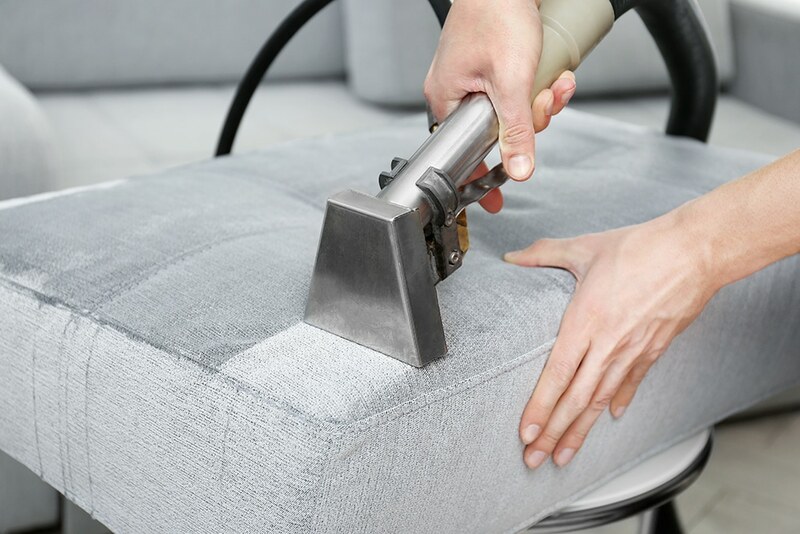 Upholstery is very much a specialised clean and upmost care is taken to prevent over wetting of the sensitive fabrics which are found in sofas and chairs, as this can damage or ruin them completely. This why we use only the latest and most advanced upholstery cleaning equipment, combined with professional training to make sure we clean sofas and chairs as thoroughly as possible while at the same time ensuring no damage occurs from over wetting.